The past four years i’ve spent Christmas in a different country every year. This year it was the pleasure of being in Sweden. Even though every city has it’s own unique vibe, I must say Christmas time in New York is just magical. The glamour of xmas lights, the city, the food is just an indescribable feeling. Very romantic and full of life. I can’t say I didn’t miss it. I didn’t get to celebrate too many Christmases as a child, now i’m trying to do all the catching up that I can. So this year I decided to take matters into my own hands by cooking up a traditional Christmas turkey. I’ve never cooked for Christmas before, let alone a 7kg turkey. The challenge was very exciting and I couldn’t wait for it all to come together. Finally after four and a half hours in the oven our turkey was ready to come out. 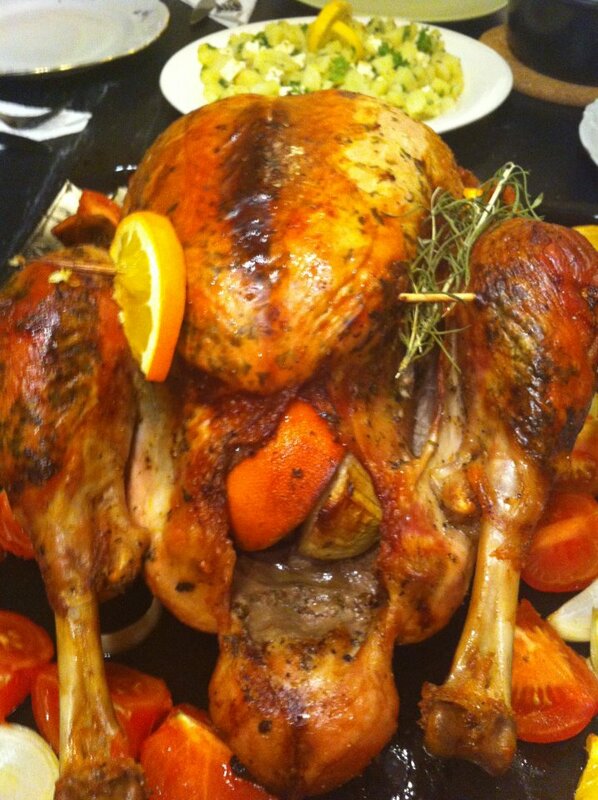 Stuffed with garlic, onions, orange, thyme and bay leaves, this baby was looking delicious. Served with mashed potatoes and homemade gravy it reminded me of home. Even though I wasn’t celebrating it with my family, it turned out to be an amazing Christmas spirited night. It ended even better by me getting awesome comments on the turkey itself. After all, she was my masterpiece. I hope next year I can spend it on the other side of Scandinavia with my family.